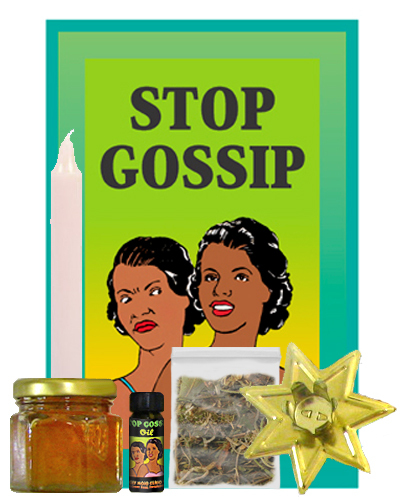 I'm thinking of purchasing the Stop Gossip Honey Jar kit to use on a particular woman. I also would like to bind and burn an Eve candle on the gossiping woman. Should I wait to see whats happening with the honey jar before I move onto the Eve candle idea or should I have them going at the same time? My husband is having difficulties at work. People he works directly with, who had been on very cozy terms with him even though he declines to socialise with them have lately been unprofessionally chummy among themselves. Problem is one or two of this group are managers. It isn't only him affected but due to the nature of the company and its tolerance for lazy, gossiping employees, my husband who busts his hump and goes out of the way to be professional, is having a hard time. He wants to put the names of the co-workers into a honey jar along with some herbs and work on them. We've been using Stop Gossip products and are thinking of a Stop Gossip Honey Jar but we may need more work to make the whole job situation less stressful and back to what it had been. You can burn the bound Eve candle ON TOP OF the honey jar. You can indeed freeze the honey jar between times when you burn candles on it. First, we make both a Stop Gossip Honey Jar and a Boss Fix Honey Jar -- so, depending on the way you see your situation, you can order either one, plus a jar of the other title's oil (to blend together for dressing the candles) or a packet of the other title's sachet powders (to place in the name packet). In this case, i suggest that you use the Stop Gssip Honey Jar, wrap each name around a sprinkling of Stop Gossip hrbs that come with the kit. Since some of them are managers, using the Boss Fix Oil or sachet powder to dress the packets of those people would also be in order for them, and you could combine Stop Gossip Oil (which comes with the kit) with separately-purchased Boss Fix Oil on the candles, or "double dress" the candles that have been dressed with Stop Gossip Oil by sprinkling a little Boss Fix powder. Then you can set the entire jar on a saucer which you have lined with a ring of Alum Powder to stop their loose bad talk. Second, prepare a protective, gossip-stopping, boss-fixing, and crown-of-success type talisman, mojo hand, or other empowered, fixed, and prepared item for him to wear or carry, or to use around his desk -- or do both, give him something to wear or carry and also prepare a secretly fixed office-friendly object of some kind. A family photo in a frame is common holder for this kind of container spell, as is a fixed potted plant (see HHRM under the heading for Apple). 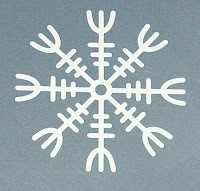 I was wondering if there is a way to adapt the A SUGAR BOX SPELL TO SWEETEN IN-LAWS to a group of friends? I'm hoping to keep us close after college but a recent outing with all of them sparked some silly gossip that is threatening to tear us all apart and distance will do what distance does and I was hoping to stall that. Yes, stick the their names into a sugar box and prayer over it periodically. Use the sugar to make cookies or sweets when you go to see them and share the sweets with them. If you make sweets that use clove in their flavoring, as clove helps friendships and to stop gossip. 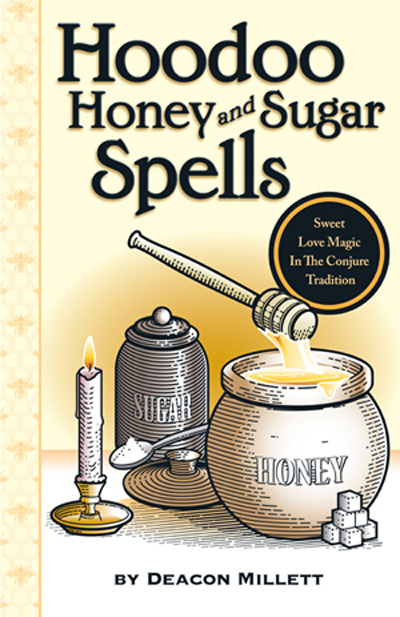 Just did a honey jar spell for the first time. I am having a lot of trouble with gossip and backbiting at work with my staff. There are many staff contributing to the problem of gossip so I wrote xyz nurse aides on my piece of paper. It felt right to do it and I said I a quick prayer for myself. The honey jar alone will not do everything for me but if I went to write everyone's name out, I'd have a barrel of honey. Two barrels. What does everyone else do when they're dealing with more than a few people causing strife and backbiting. Thanks. hellinahandbasket wrote: The honey jar alone will not do everything for me but if I went to write everyone's name out, I'd have a barrel of honey. Two barrels. What does everyone else do when they're dealing with more than a few people causing strife and backbiting. Thanks. Well, a lot of people cook with the honey in that jar and serve it to the folks they're working on. Then, of course, you top the jar up with fresh honey and keep working it. Repeat as necessary. So you'd become the Dessert Queen of Office Potlucks for a reason. Also, you can start spraying a mixture of Boss Fix Oil (or dissolved bath crystals) and Peace Water around your workplace. Especially the bathroom, because Peace Water smells like Essence of Cleanliness. Thank you!!! My honey jar spell is starting to work and I'm going to try the boss fix and peace water. Thanks! Got the fixed stop gossip bottle in the mail today. Instructions are vague, and I know the shop is busy. How do I fix and use the bottle, all it comes with is one candle. If its fixed do I need oil, do I just stick my petition in. Please help! Nice scream name! I have not ordered one of the fixed bottles but I imagine you would write your petition and put it in there, then seal it up and burn your candle dressed in an appropriate oil on tip of it while saying a prayer for you desired results! Hope this is helpful! Yes, you will need 2 separate jars. Also, your query is in the wrong subforum. In the future, please go to the upper right hand corner of any forum page. In the dark green area, there is a white searh box. Enter your key words (Honey jar) and the search engine will take you there. It is a lot of work for us moderators to split, move an merge stray posts. today i learned that one of my office mate talking beyonf my back, and this guy is surely getting on my nerves. Maybe i can use this spell on him. I love the stop gossip product soo much that I carry the oil in my bag at work just in case. Putting it on the shoes or slippery elm in the shoes will help you walk through their gossip untouched by it. I would work with the Stop Gossip products (and I have merged your post to this topic thread for you to read about it). Wishing you the very best in this. I just wanted to ask if this this is a good spell to use if I wanted the gossip to stop & I wanted the friendship to end. Not if you want the friendship to end. I will have to put in a couple orders.